Sachem Animal Hospital and Wellness Center in Holbook, NY is committed to providing the highest quality, state-of-the-art medical, dental, diagnostic, and surgical care for your dog, cat, or exotic pet. Founded in 1983, our Long Island veterinary team has been providing skilled and compassionate care for pets in Islip, Brookhaven, and the greater Suffolk County area for over 30 years. Please take some time to learn about all the ways we can help you keep your pet healthy and happy. Then give us a call today! Great Doctors and staff. My dogs love coming here. Oct 31, 2018, Bob G.
Best and most considerate practice I’ve ever been too! It’s more than refreshing to actually find people who genuinely care about (in my case) Dog. Plus their families! Everyone here has been amazing. I cannot thank you enough for your kindness in both the good and bad times. I'm so happy to have been introduced to you by a friend. Absolutely the best! I wouldn't go anywhere else. Excellent staff and professionalism!! So very happy here! Apr 19, 2018, Ron G.
Great vets! Great staff. Fantastic with pets. You couldn’t ask for anything better. I give them the highest possible recommendation! Professional a friendly staff. Dr.s are great. Our puppies have no fear of going and sometimes even seem to look forward to it. The staff and Dr. Myers are always very friendly and accommodating. We love that they have hours that meet the needs of our different work schedules. A animal lovers vet! Pricing was reasonable and staff could not of been better. Simply one of the best around. We had to transfer my dog from another vet after a car accident and the Dr.'s didn't miss a beat. Dr. Corso was phenomenal, it's amazing to know there are vets with such passion and empathy. The staff is always so friendly to my pets. Love coming here. Everyone at Park Hills loves my kitty, even when he's not on his best behavior! The staff always gives plenty of attention and answers all my questions patiently. They know my pet is not just a pet- he's family! Park Hills Animal Hospital is the best thing that has happened for me and my pets! They are kind, honest and passionate about their work with pets. They are sympathetic and understanding with the pet owners too. Iighly recommend them. I have been coming to them for years. Great doggie-bedside manner. Caring and a great partnership in the care of our animals over the years. I cannot speak highly enough about Dr. Camay , Dr Andrea and Sue at the front desk. They are the most kind, caring knowledgeable Vets and staff I've come across. I have been coming here for 3 years , I'm always seen right away , my dog is never nervous and feels so comfortable there!!! I like they are not a big fancy place , feels like your going to your own personal little group of docorts in town!!!! Dr Camay is the best loves what he does!!!!! 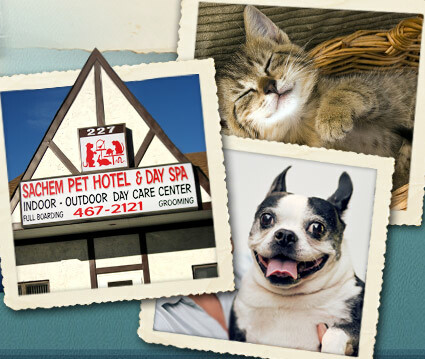 We have been going to Sachem Animal Hospital for over 25 years. Our dogs have always received the best of care. Drs and staff have always been friendly and professional. We have never considered going anywhere else since. Great, caring staff. Always provides quality care for my cat. I would recommend them 100%. Very caring office. This is such a great place, the staff is amazing and my dog always leaves happy! I'm very happy with all the service they have provide to my pet and myself. Sachem has a great staff, always upbeat. I Love this Vet! they are so caring and helpful with all my pets. They have competitive pricing also. I highly recommend them. Caring and loving towards your animals. Awesome vet service. We have been using Sachem Animal Hospital for 25+ yrs . We wouldn't go anywhere else. Very great doctors and assistants. Helpful in so many ways with any questions you need answered. Jun 28, 2017, Steven L.
Caring, thoughtful, and unbelievable as a vet. Been bringing our pets since 1999 and would not go anywhere else. Love sachem animal hospital. Dr. Lissman is excellent. Staff is always helpful. Friendly doctors. Comfortable facility. My pets and I are always well taken care of! Sachem animal hospital is the best. I have been coming here for over 20 years and have always been very happy with all the Drs and staff. My family and I have confidence in the all care our pets receive. I recommend them to every pet owner. I was recommended here by a friend and am so thrillied with the care my dog has gotten. The Doctors are nice and the girls at the desk are very friendly and helpful. I will recommend sachem animal hospital to my friends and family! I took my Dog here for the past 9 years. This past week I had to say goodbye to my best friend. The staff was amazing and compassionate, a couple of staff even shared hugs and tears with me. They all knew Ruffles due to our frequent visits. Thank you to all the staff at Sachem for everything! Thank you to Michelle for making her sparkly clean. And my biggest thank you is to Dr.Corso for taking the best care of Ruffles over the years, I wouldn't had my girl for as long as I did if it wasn't for you! I HIGHLY recommend Sachem Animal Hospital to EVERYONE! Very clean friendly office.My first time here and the doctor was kind and compassionate. Always curious and friendly and super caring. Always happy taking my three cats here. Dr.lissman is a great vet.Ive been coming here for years. I have been taking my animals here for several years and everybody has been excellent. Amazing! I wouldn't trust bringing my pets anywhere else. 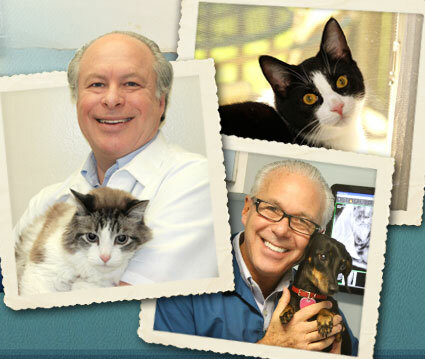 The Staff is extremely helpful and Dr.Corso is extremely informative and compassionate with all of my pets. I highly recommend this practice! In addition, they are open evenings and weekends which makes it convenient to quickly see the doctors. Excellent level of care and the incredibly compassionate staff made our dog's experience an outstanding visit. Highly recommend Sachem Animal to anyone who loves their pet! Everyone is extremely kind and caring. We also use the groomer Michelle who always does a great job on our dog. Love all the doctors and staff here! Courteous, knowledgable and compassionate! The best! Highly recommend,my dog was paralized both back legs and dr.Lissman worked closely with us and guiding us through.. She is completely healed and she is now running. Best vet and the staff is also caring and warm. Dr. Corso is the best vet ever. I will never go anywhere else. Go to sachem animal you will not be disappointed!!! I love you guys!!! Excellent services happy and pleasant environment. Always treat myself and my pets with respect. A great office with professional staff. The doctors and nurses receptionists are the best! Been coming here for over 20 years. Amazing doctors and staff. They all truly love your pets as much as you do! Could not have been more informative, comforting, and supportive when my dog had a terminal illness. I would highly recommend them. Been with Sachem Animal hospital over 20 years. They will always do the best for your animals. I thank them for all the animals they have helped me keep healthy over the years. Very professional and caring for my dog. Always available and treats me as an owner with respect. Oct 29, 2016, Bonni R.
Dr. Camay has been my vet for years and has taken very good care of all my animals! I highly recommend Park Hills! They are always professional and meet all my pets needs. very professional, always attentive. Clear explanations to procedures. Great staff! Love the care they give to my puppy. Oct 22, 2016, Jeff M.
Oct 22, 2016, Lynne S.
Doctors and staff are very caring and responsive. My dogs are treated with expertise and compassion. My questions are patiently answered. Oct 22, 2016, Rita S.
Very knowledgeable and caring veterinarians!Clean and never a long wait! Great people that work here! Strongly recommend Sachem Animal Hospital. They were able to get me an appointment right away and were very attentive and kind! Oct 15, 2016, Rudy S.
Oct 8, 2016, Martha V.
I have been coming her for about 10 years and I wouldn't go anywhere else. Everyone is always so sweet and patient. Oct 8, 2016, Ingrid B. Very caring and I drive over an hour just to come to this practice. I wouldn't go anywhere else! Sep 24, 2016, Michele M.
All the doctors here are amazing, kind and knowledgeable. The staff is wonderful too. Dr. Camay has been my vet for 25 years. He has cared for my 3 dogs with the kindness and respect. I could not be happier!! Always there when we need them - the care and professionalism is unparalleled.... So fortunate to have them for all my fur-babies needs.... Veterinarian, hospital care, boarding and grooming.... All 3 dogs and our cat are clients!!! Appreciate all that this staff does for our family and our community!!! I give a five star rating. The vets are excellent and treat each pet with loving care. The staff are very friendly and love the pets as if they were there own. I highly recommend the Sachem Animal Hospital. All the doctors and staff are wonderful. Thank you! I love everyone here. When my dog suddenly got sick they did all they could until we had to put him down... They were so thoughtful and sympathetic. Since, we now bring our new love here and they are so good with him. The girls at the desk are very friendly and caring and dr. Myers is the best vet I've ever had. Sep 17, 2016, Giovanna P.
The doctors are great & kind with both of my dogs. Great Doctors and support staff. Always a pleasure, They really seem to care about my pets. Great service and nice people!!!!! We were more than blessed, to become clients at Sachem Animal Hospital. We were visiting a friend in Holbrook, as we had recently moved to NC. Our dog sustained a laceration to her tongue, and was bleeding profusely. Dr. Lissman, and staff, literally took us in off the street. He had never seen our dog before. We did not have an option, to drive the distance to our former NY vet, in Syosset. His waiting clients, were also kind enough, to delay their own appointments, as Sofie required emergency surgery, for control of the bleeding. I cannot express my gratitude, enough. Dr. Lissman, and his staff, are credited with saving my dog's life! 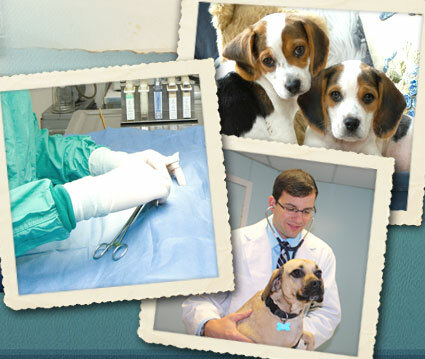 The staff and Veterinarians at Sachem Animal Hospital are warm, carrying and professional. We have always received top notch care here. I would highly recommend them.